Join us Saturday, February 16th from 1-3pm for this fun and free demo! 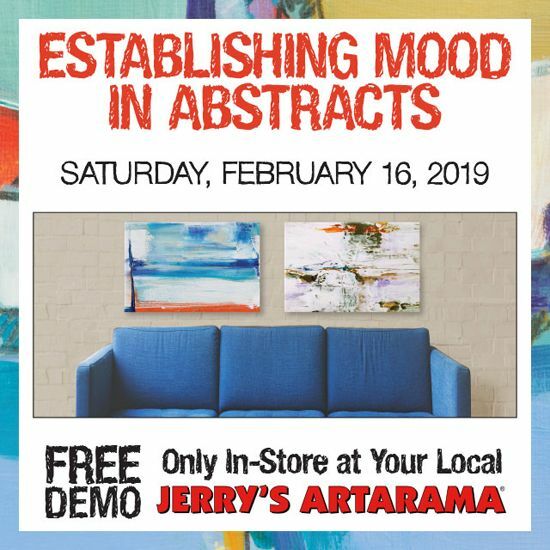 Jerry's very own Joe DiGiulio will be here in store to show YOU how to create mood in your abstract paintings. Learn how to leverage design elements to create tone, how to create complex expressive color palettes, and gain new techniques to incorporate into your art! You'll also get a sneak peek at Joe's upcoming abstract painting class "Wind Spirits on Paper." Don't miss out on this amazing demo!